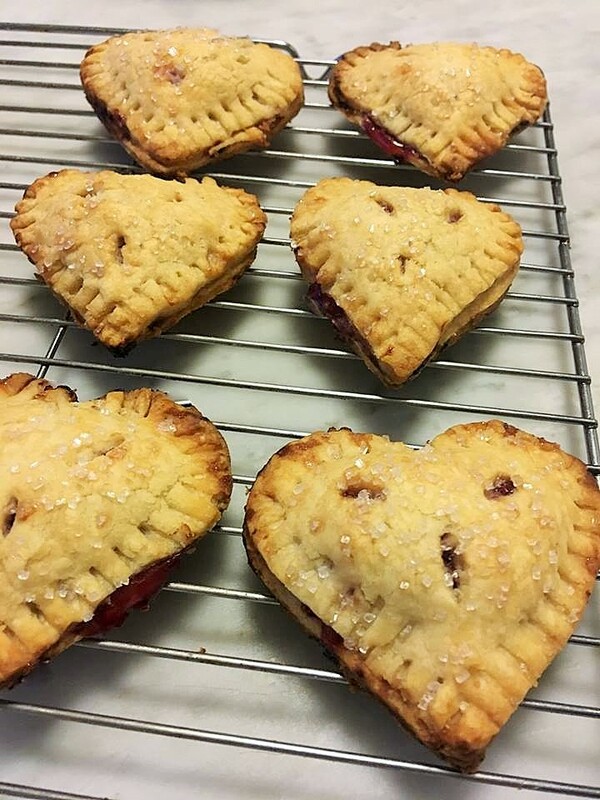 I make these little pies every year for my family… and myself! They are so easy and so pretty. 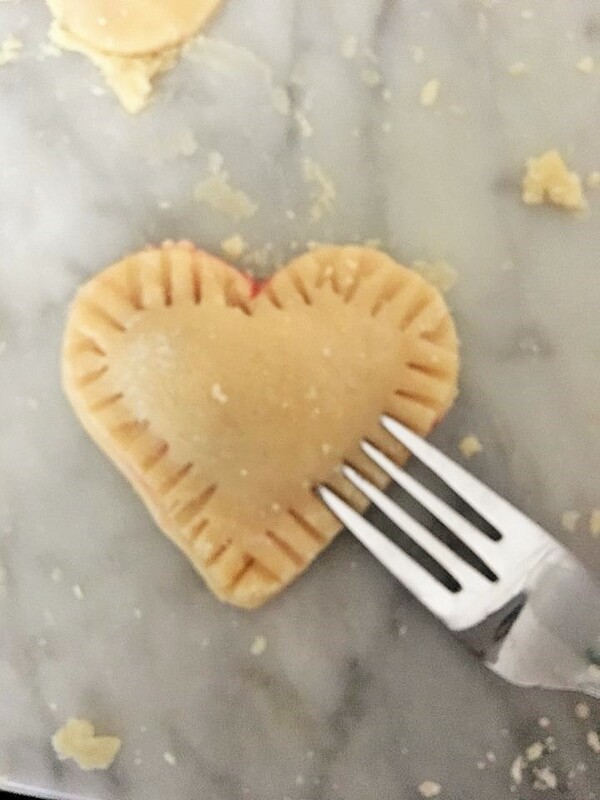 I know I’ve said this many times, but I believe it true.”Life is short, eat pie!” It’s a sweet way to show your affection to your family or anyone that you love. 1. 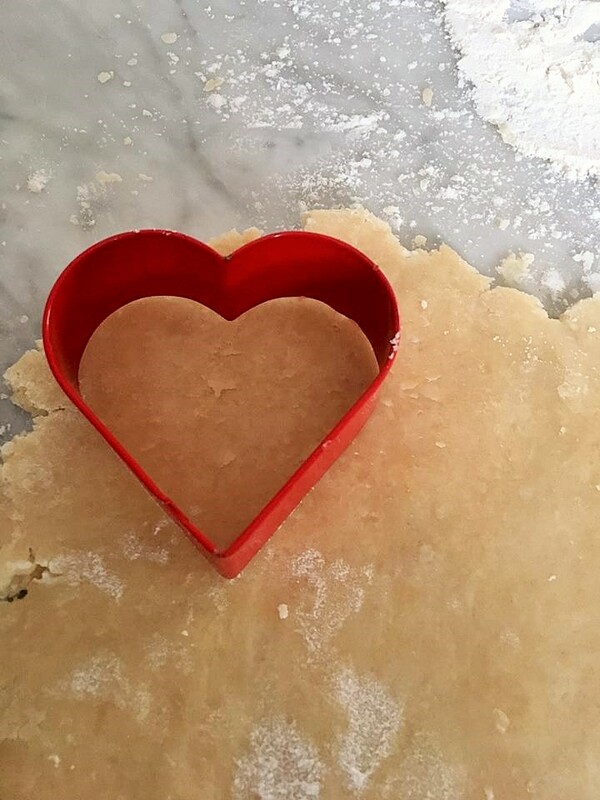 Pie Crust – If you don’t have time to make your own crust, any of the roll-out crusts will do. My two favorites are Trader Joe’s and Shurfine crusts. 2. 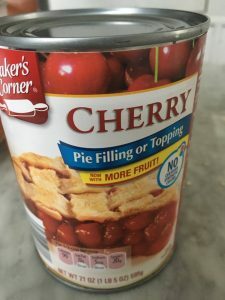 Cherry Pie Filling (canned) – I love Aldi the best, but don’t sweat it if you have to go somewhere else. 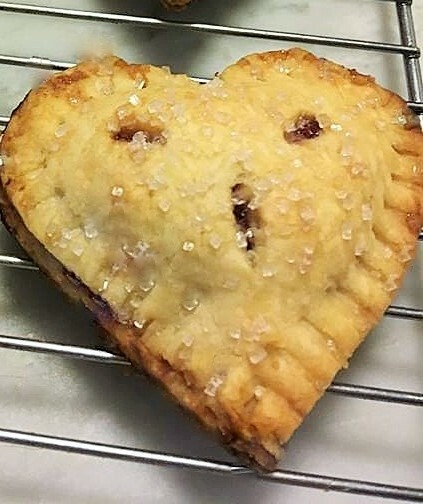 Aldi’s, to me, seem to have more cherry’s and less filling. 3. 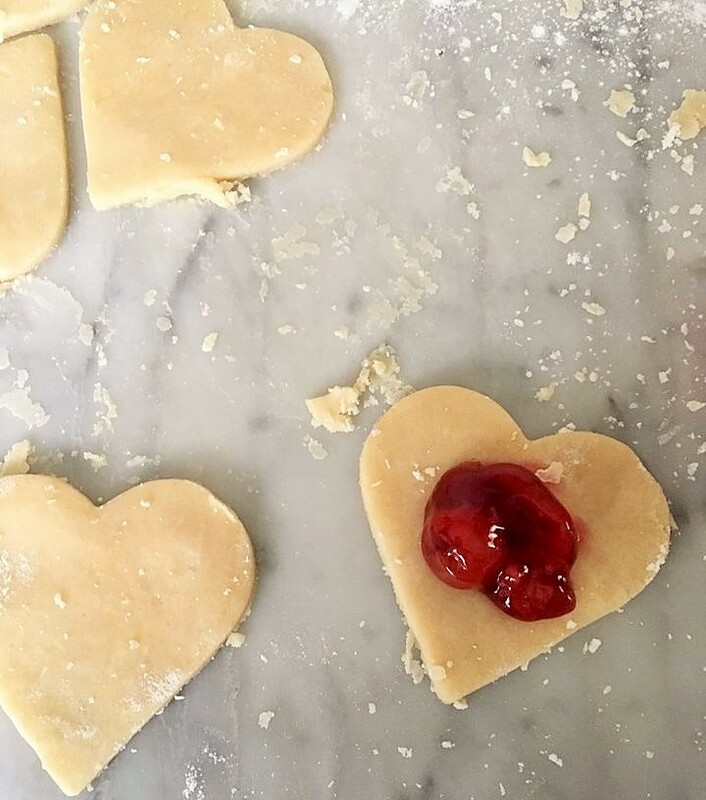 Sugar – I used sanding sugar for these, but regular granulated sugar will work too. 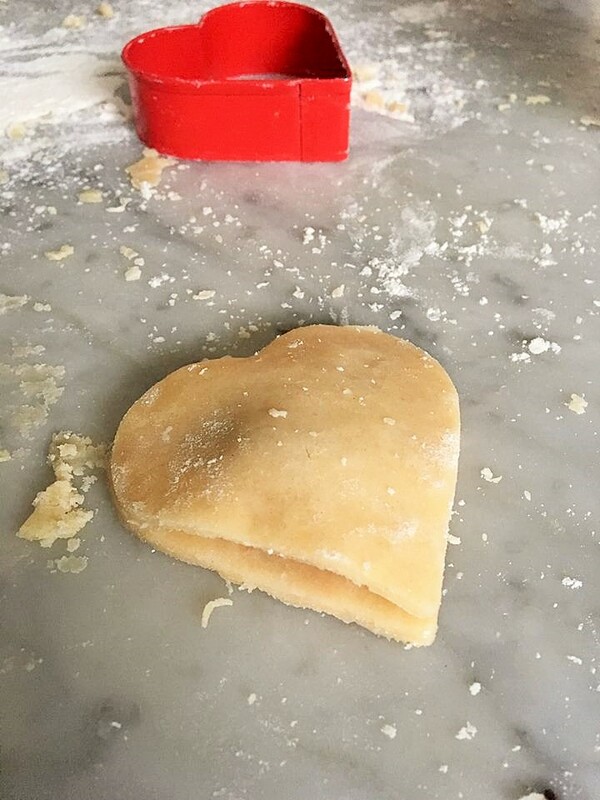 Roll out the crust on a lightly floured surface. 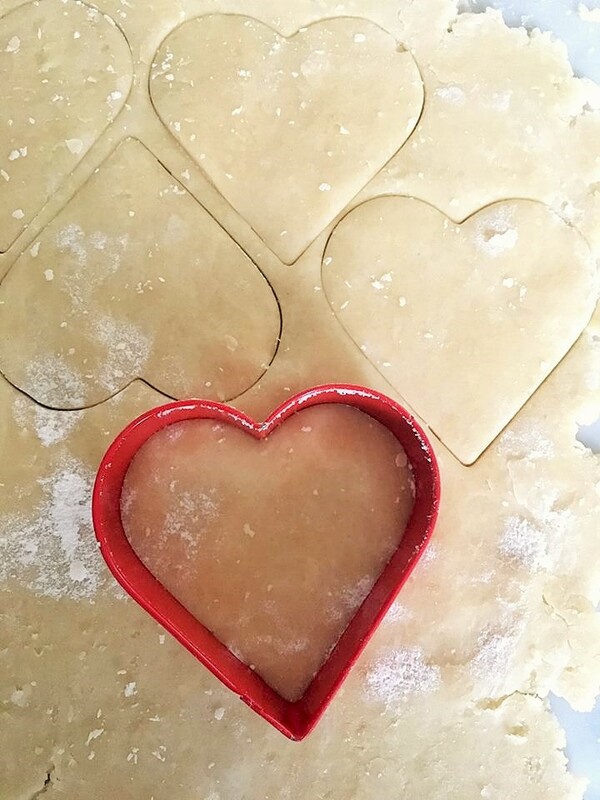 Using your cookie cutter, cut out as many hearts as you can. Split your hearts into two rows. One for the top crust, and one for the bottom. 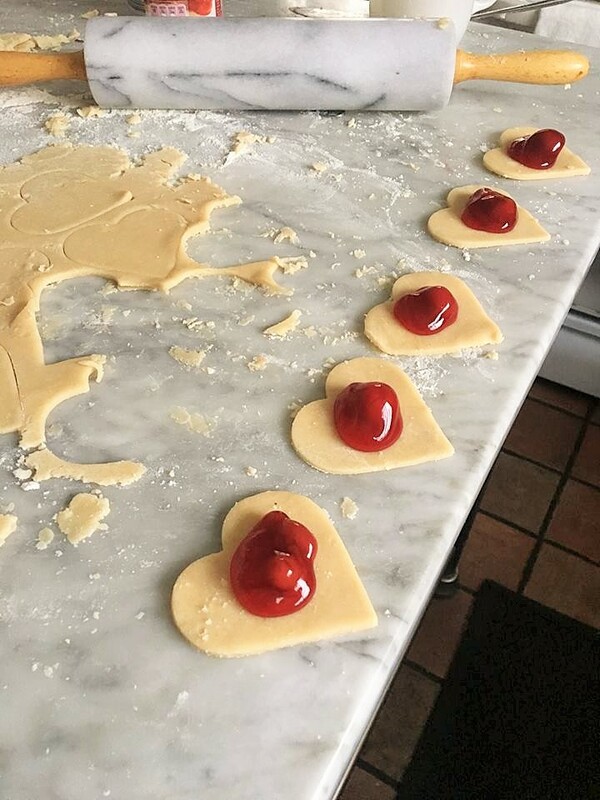 Take a small teaspoon full of your cherry pie filling, place it on the center of your bottom crust pie hearts. Make sure you get at least one cherry, two is better! (Ooops, I forgot you will need water!) Brush a little cold water around the edge of the bottom crust. I used a small paint brush. 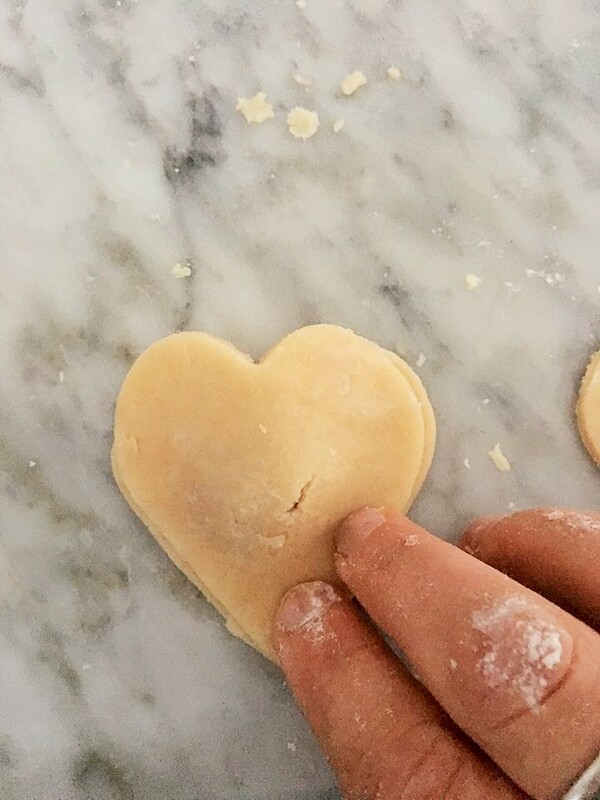 Cover with the top crust and pinch down a little with your fingers. 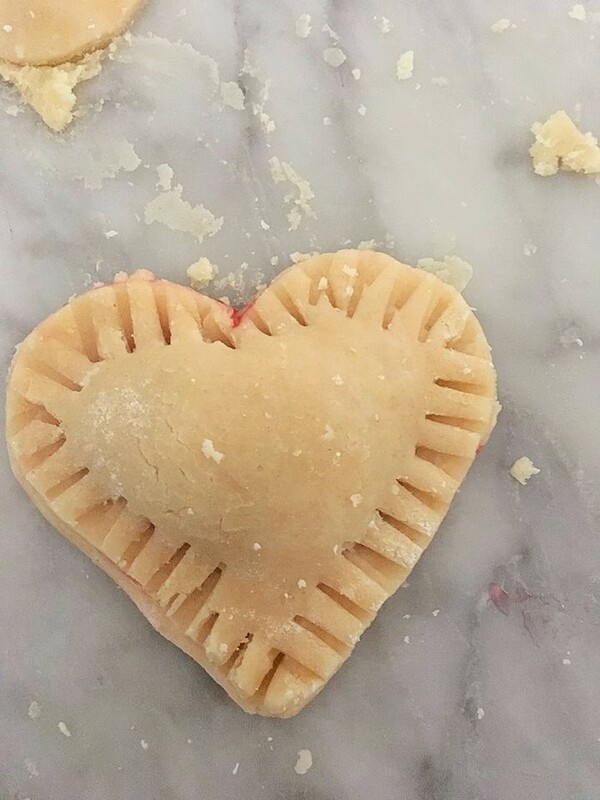 With the tines of a fork, press around the edges of the hearts to seal, then use a small knife to cut a few small vents in the top of each heart. 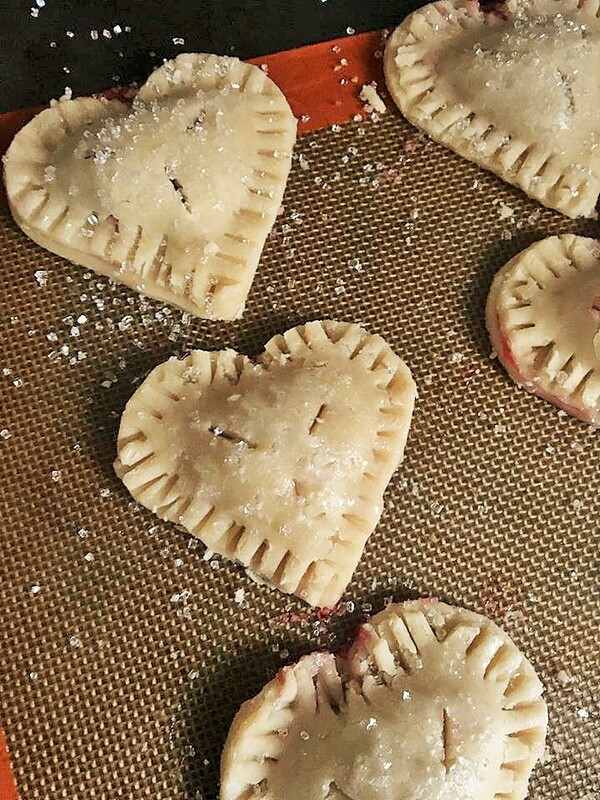 Once you have them all done, transfer the mini-pies to a baking sheet lined with parchment or a silicone baking mat. Brush a little more water on top, and sprinkle with sugar. Bake for 12 minutes, until golden. Let cool on a wire rack for at least 15 minutes before eating. Enjoy! That banana cake looks totally out of this world, and so do these!